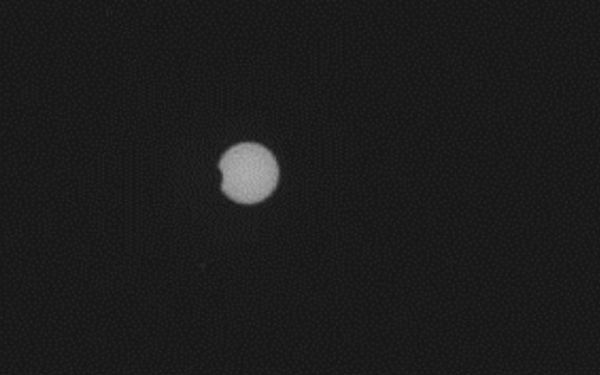 On Thursday, Mars’s Gale Crater was treated to a fantastic sight: a partial solar eclipse. An eclipse very similar to the kind we’re used to seeing from here on Earth, but with the sun blocked, in this case, by a different moon: Phobos, one of the two moons that orbit Mars. Fortunately for us, Curiosity was there to take a picture of Phobos’s transit. Also fortunately for us, as well, Curiosity took precautions to protect its vision as the transit took place.